Children cannot put their best foot forward if that foot is not protected in the rain and snow. Many students must walk to school, either all or part of the way, reminded Michelle Johnston, an emergency financial assistance case manager at the Altoona office of Catholic Charities of the Diocese of Altoona-Johnstown. With all of this in mind, Catholic Charities has launched the All Soles Project to provide boots to youngsters and appropriate footwear for older students. The idea came after Johnston learned about another faith-based ministry that provides sneakers for children. The All Soles Project enhances that effort by providing boots for boys and girls up to age 12 and dress, casual, or athletic shoes for teenagers. As winter weather looms, Catholic Charities is poised to once again assist families with heating costs. This new program will be an additional service to help those who are struggling. “We love children, and we want to make sure they have the basic essentials that often go unmet during an unexpected financial crisis,” Johnston mentioned. Thanks to a $1,000 donation from Saint Catherine of Siena Parish in Duncansville, the All Soles Project is up and running. The support enabled Johnston to purchase enough boots to begin serving youngsters. In order to keep the All Soles Project going, Catholic Charities is counting on donations from the faithful. Individuals are invited to drop off new boots for boys or girls at the Altoona office of Catholic Charities, 1300 12th Avenue. Boots will be provided to children during the heating season, which is underway now through March 31. The agency is also looking for sponsors to provide shoes for teenagers. Those interested can call (814) 944-9388 Extension 209 and leave their contact information. Catholic Charities will reach out to sponsors with specific footwear needs for the students. All boots and shoes will be provided as long as donations and sponsors are available to meet the demand, Johnston said. Catholic Charities is working with school nurses, guidance counselors, and administrators to inform them of students who are in need of appropriate footwear. 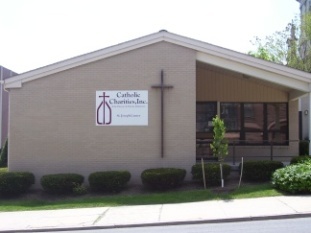 For more information, contact the Altoona office of Catholic Charities at (814) 944-9389.